Rewriting its slogan as “Is this the best a man can get?”, the razor brand presented examples of toxic masculinity, earning itself both celebrity praise and calls for a boycott. “Is this the best a man can get?” the ad asks, challenging viewers to confront issues like toxic masculinity and #MeToo and to abandon “the same old excuses.” By the end of the clip, men are challenging catcallers, championing their daughters and breaking up brawls. The company, known for its razors and personal-care products, posted the ad on social media Monday. Within a day, it was the subject of a battle in which support for its message collided with calls for boycotts. The ad, developed by Gillette’s advertising agency, Grey, was defended and praised by actress Rosanna Arquette, comedian Pete Dominick, screenwriter and director Jeffrey Reddick, Arianna Huffington and others. Television personality Piers Morgan railed on Twitter about the ad, calling it “pathetic,” “virtue-signalling” and “a direct consequence of radical feminists” who are “driving a war against masculinity.” He said he used Gillette razors for his entire adult life but, like actor James Woods, was considering jumping ship. On YouTube, the ad had been liked 153,000 times by Tuesday afternoon. But it had also received 470,000 thumbs down votes. Soon after Gillette’s ad appeared online, its rival Dollar Shave Club posted a message on Twitter that seemed to welcome new customers. The post was liked more than 4,500 times, compared with a few dozen likes on the company’s other posts. This is not the first time that Procter & Gamble, which owns Gillette, has echoed progressive rhetoric in its marketing. The company’s Pantene hair-products line once ran a “Strong is Beautiful” campaign, which featured football players from the New Orleans Saints, the Pittsburgh Steelers and the Dallas Cowboys braiding their daughters’ hair. The #LikeAGirl campaign for the Always feminine hygiene products, which encourages girls to face the fear of failure, shows them playing chess, fencing and drumming. 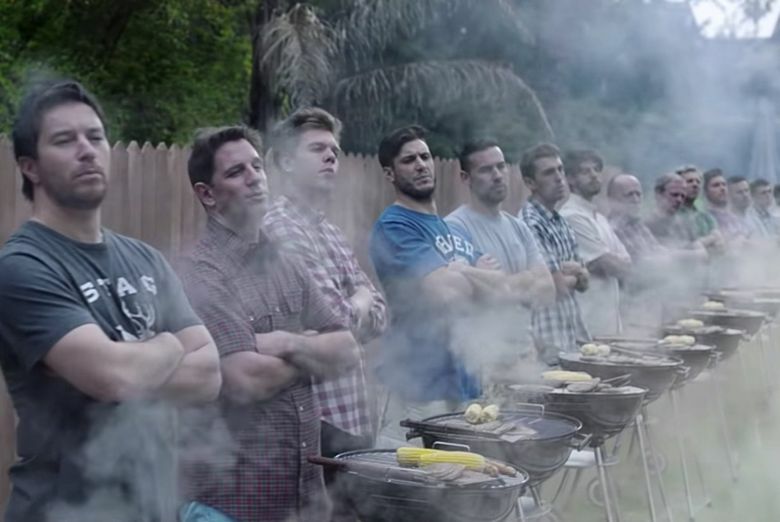 But in taking a position on the idea of toxic masculinity, Gillette and Procter & Gamble could be dealing with a “hot potato,” said Dean Crutchfield, the chief executive of the brand-advisory firm Crutchfield & Partners. Other companies have also inserted themselves into discussions about sexuality, race, culture and other contentious issues. Years ago, Old Spice wanted to convince men that shower gel was masculine while appealing to the women who were actually buying the product. The resulting “Smell like a man, man” campaign is now considered a marketing triumph. Pepsi’s 2017 ad featuring Kendall Jenner was also memorable, but mainly because of the intense criticism it faced borrowing imagery from the Black Lives Matter movement, watering it down and then using it to sell a soft drink. The company pulled the ad and apologized. Ram trucks met a similar reception last year when it used a sermon by the Rev. Martin Luther King Jr. in a Super Bowl ad. Gillette is a giant in the shaving industry, but its foothold is shrinking as scrappy competitors offering disposable razor subscriptions capture younger consumers. Dollar Shave Club was acquired by Unilever for $1 billion in 2016. Harry’s, another razor purveyor, raised $112 million from investors last year to expand beyond men’s grooming. 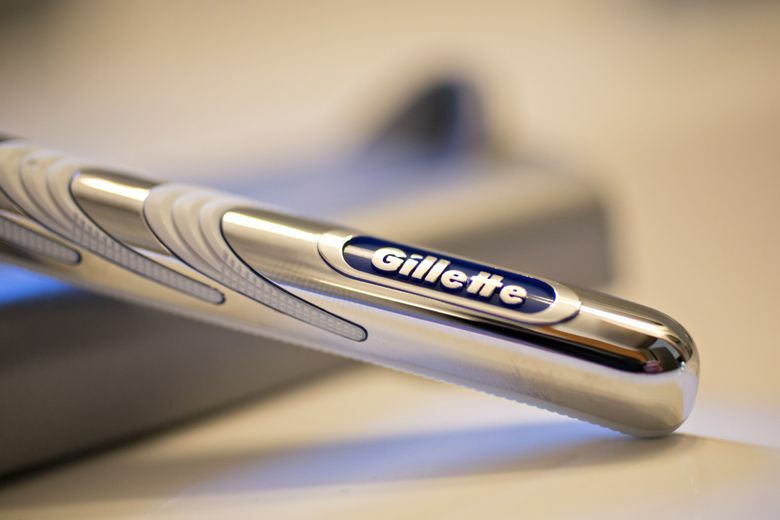 Sales for Gillette’s grooming segment slipped 1 percent in its most recent quarter. The brand, which has mistakenly mailed free razors intended for 18-year-old men to middle-age women, has tried to stay fresh by experimenting with personalized 3D-printed razor handles and designing blades for sensitive skin.